From Hiya Toys. A PREVIEWS Exclusive! 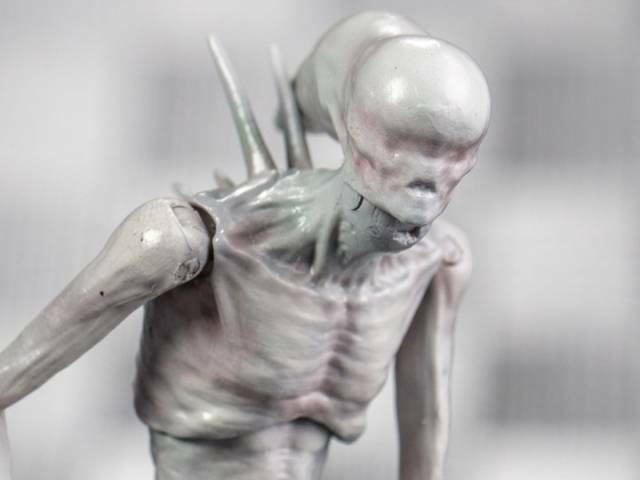 The product of extra-terrestrial spores infecting a human host, the Neomorph is the first shocking sign of alien life for the crew of the Covenant. After violently emerging from its host, the creature grows quickly until it stands on two legs. 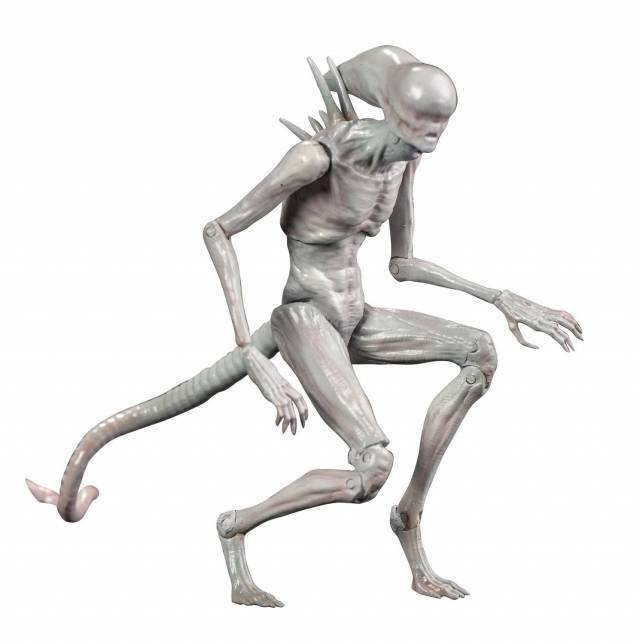 Its fleshy skin and pale color is starkly different from most other variants of the Xenomorph, but its aggression is terrifyingly familiar. 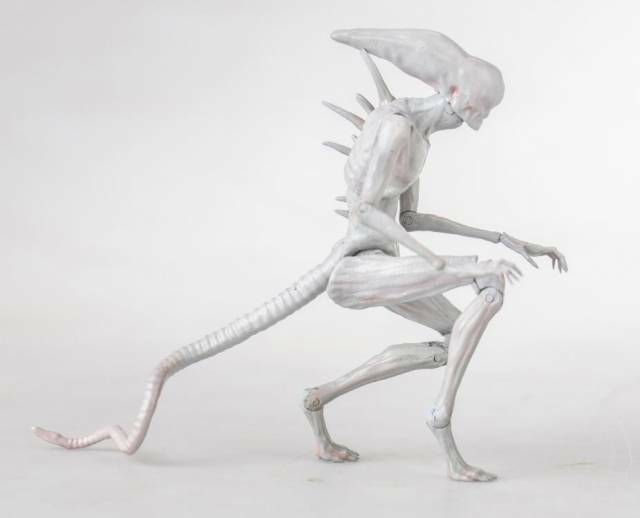 This fully articulated Neomorph from Alien: Covenant stands 4" tall and comes with a display stand, 4 exchangable Hands, and 2 Heads.